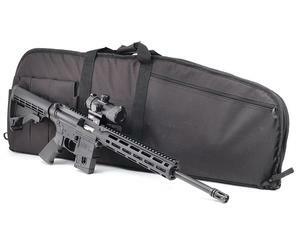 For a limited time only, the M&P15-22 Sport is being offered with an M&P Green/Red Dot optic and Duty Series soft case. The M&P15-22 is a dedicated M&P15-format rifle designed and built as a true .22 LR semi-auto from the ground up. The M&P15-22 Sport features a M-LOK compatible slim handguard and shell deflector.